In the 1930s, electric cooperatives took a gamble and invested in the rural Dakotas—an area that private power companies had deemed too risky. Today, however, the investment is literally paying dividends to the cooperatives that took a chance on rural farmsteads, and those who live and work in those areas. “Our main purpose is to provide electricity to rural areas with the best service and low cost, but we also give back to the community,” said Dave Eide, general manager of Codington-Clark Electric Coop in Clark, S.D. In the midst of the Dirty Thirties, the Roosevelt administration insisted that if private companies could not supply power to rural areas, doing so was the government’s responsibility. 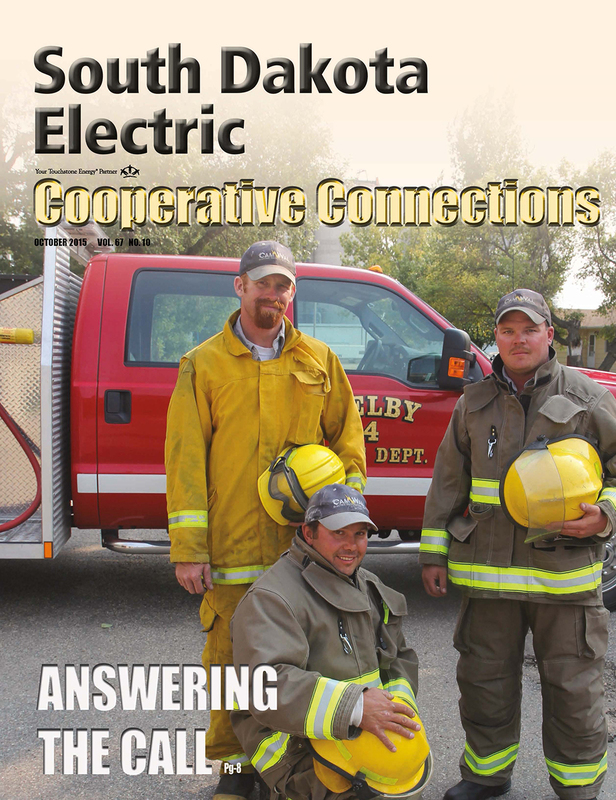 The Rural Electric Administration started in 1935, and the first cooperative was born. 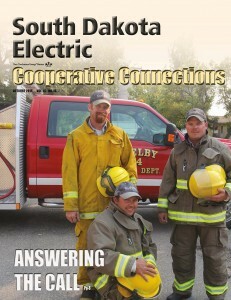 “Cooperative members are the owners and exclusive users of the coop’s service, and they are empowered to elect a local governing board of directors from the region to manage the cooperative” and help all involved parties obtain common needs and reach their aspirations, according to Linda Salmonson, economic development manager for East River Electric Cooperative in Madison, S.D. Since the 1930s, the cooperative model has been adopted by other sectors, including rural water, telecommunications, wind power and various types of agricultural ventures. Across the board, commitment to members and community are common themes. “Essentially, our cooperatives invest in the communities we live in out of commitment and concern for those they serve and the desire to benefit and improve the region,” Salmonson said. This model has triggered infrastructure investments, capital credits to coop members, leadership development and community projects throughout the Dakotas in the past 80 years. “We gave $2.4 million in capital credits last year, and we encourage those members to take that check and shop locally in one of the 33 communities we serve,” said Bob Johnson, general manager of Dickey Rural Networks in Ellendale, N.D.
Cooperatives also directly give monetarily to the communities they serve. And the partnership between cooperatives and the communities they serve transcends dollars and cents. Cooperatives like Wheat Growers support their communities by providing full-time jobs, and they are a hub for activity, causing a trickle-down effect on the local economy. Palmer made mention of the large rail project and agronomy center recently completed in Kennebec. “The truck traffic created because of this new facility will increase the need for fuel, tires, repairs, and more, which hopefully has a positive impact on the community,” he said. The impact of cooperatives on local communities is different than that of private companies, according to Johnson, who had worked his entire career in the traditional corporate world, before coming to Ellendale two years ago. Voluntary, Open Ownership – Open to all without gender, social, racial, political or religious discrimination. Democratic Owner Control – One owner, one vote. Owner Economic Participation – Owners contribute equitably to, and democratically control, the capital of the cooperative. The economic benefits of a cooperative operation are returned to the owners in the form of capital credits, reinvested in the co-op, or used to provide new or upgraded owner services. Autonomy And Independence – Cooperatives are autonomous, self-reliant organizations controlled by their owners. Education, Training and Information – Cooperatives provide education and training for owners so they can contribute effectively to the development of their cooperatives and communities. Cooperation Among Cooperatives – Cooperatives serve their owners most effectively and strengthen the cooperative movement by working together through local, regional and national structures. Concern For The Community – While focusing on owner needs, cooperatives work for the sustainable development of their communities through policies accepted by their owners.